A total of 984 humpback whale sightings were reported during the 2017 Great Whale Count on Maui over the weekend, including 544 pods (or groups of whales) and 88 calves. 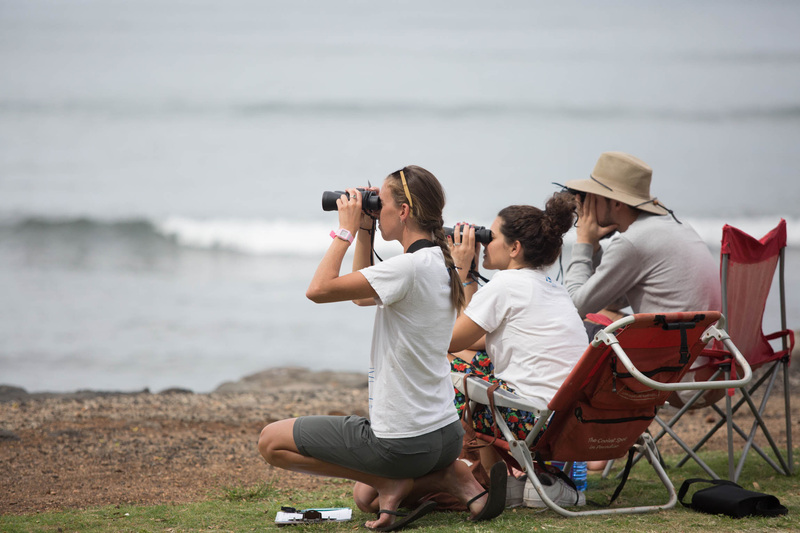 The largest number of sightings occurred at Puʻu-ōlaʻi in Mākena (303), Polo Beach in Wailea (153), and Papawai/McGregor Point with 108 sightings. Mākena also recorded the highest number of calves at any site, with 36 sightings. There were other notable sightings during the Great Whale Count, including a pod of over 100 spinner dolphins spotted at the Kapalua site. At Papawai/McGregor Point, a humpback whale mother with her calf swam within 300 yards of shore. 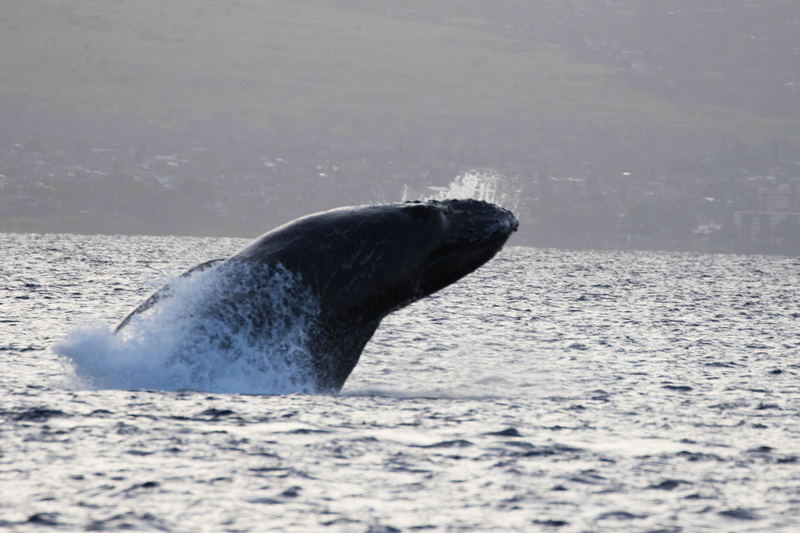 At Puʻu-ōlaʻi, 30% of the sightings were animals entering Maui County waters from the south, including mothers with newborn calves, lone whales, and competition pods. In 2016, a total of 732 humpback whale sightings were reported during the annual event, down significantly from 2015 when more than double the sightings were recorded (1,488 whales were counted, 99 of them calves). Whale counts were as follows in recent years: 732 in 2016; 1,488 in 2015; 1,331 in 2014; 1,126 in 2013; 1,054 in 2012; and 1,607 in 2011. The annual count is organized by Pacific Whale Foundation, and is used to supplement results from agency’s field studies. 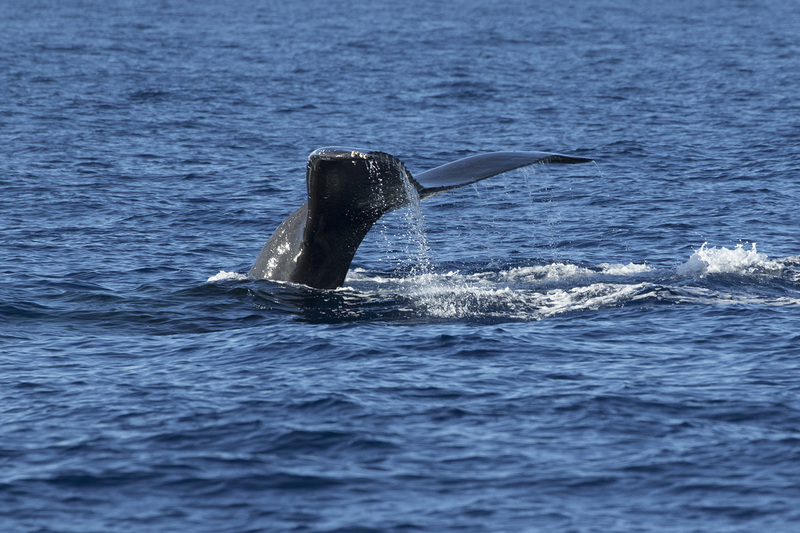 The count, representatives say, provides a long-term snapshot view of whales and a valuable look at Hawaii’s winter whale population. 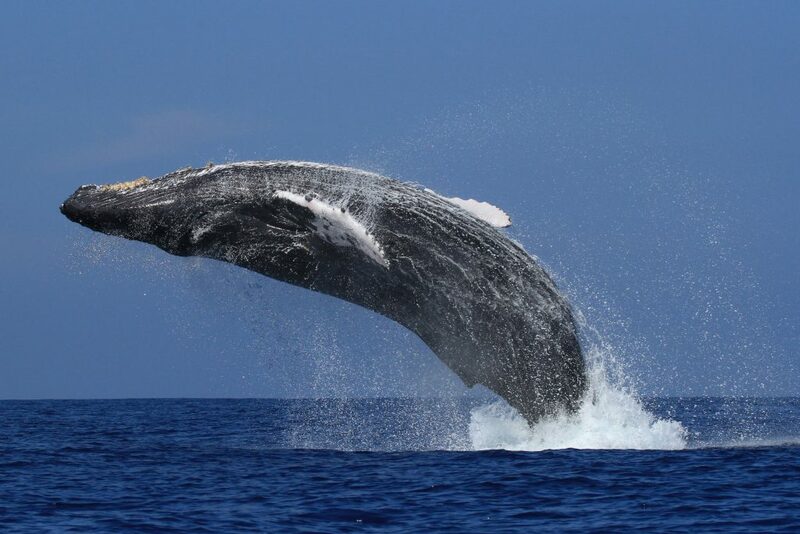 It is estimated that there are now 23,000 humpback whales in the North Pacific with about 60% (approximately 12,000 to 14,000) coming to Hawaiʻi over the entire migration season. 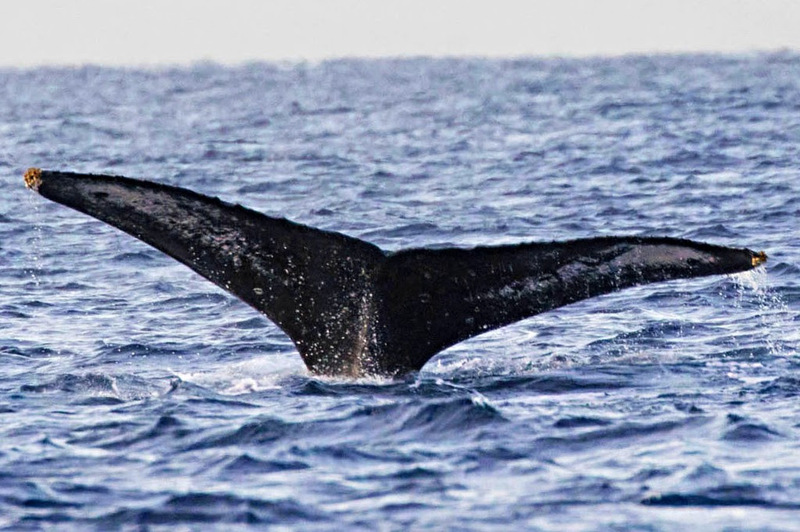 Large numbers of these whales are found in waters bordered by the islands of Maui, Kahoʻolawe, Molokaʻi and Lānaʻi. 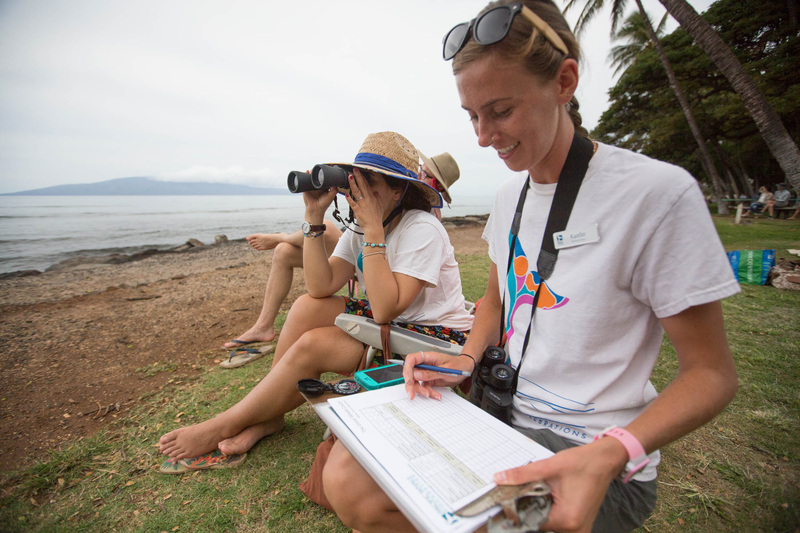 Citizen scientists counted from 12 locations on Maui’s coastline, using a protocol established by Pacific Whale Foundation. The 12 counting stations are primarily positioned along Maui’s south and western shores, in an area extending from Mākena to Kapalua. 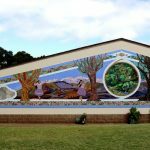 The sites include: Kāʻanapali, Kahana, Lahaina, Launiupoko, Māʻalaea, Papawai Point lookout, North Kīhei, South Kīhei, Wailea, Mākena, and Hoʻokipa. PC: Pacific Whale Foundation. 2017 Great Whale Count Maui. 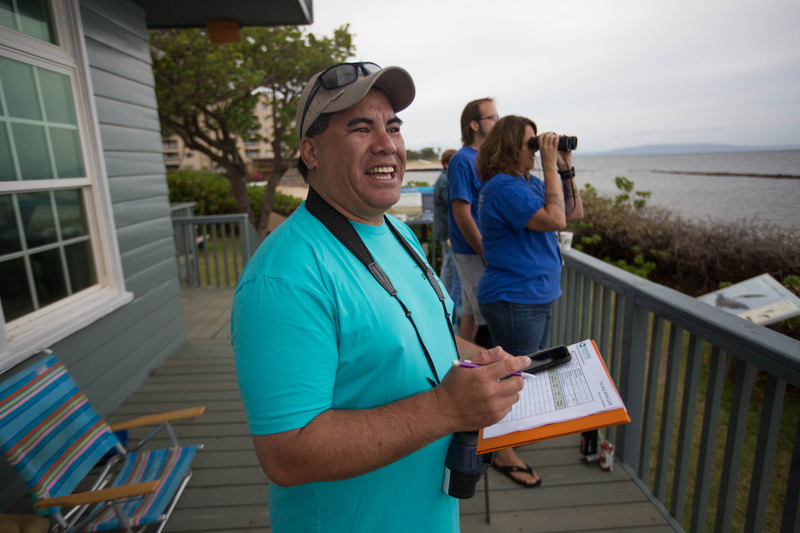 More than 590 volunteers gathered data from the shores of O‘ahu, Kaua‘i and Hawai‘i islands during the second count of the 2017 Hawaiian Islands Humpback Whale National Marine Sanctuary Ocean Count on Saturday, Feb. 25, 2017. 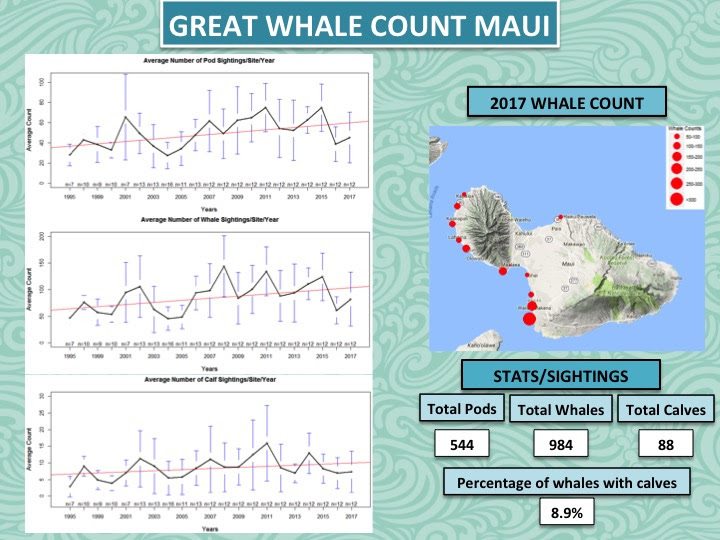 The count did not include Maui sites, and is separate from the Great Whale Count on Maui which was held on the same day (results are posted above). Ocean Count serves to promote public awareness about humpback whales, the sanctuary, and shore-based whale watching opportunities. 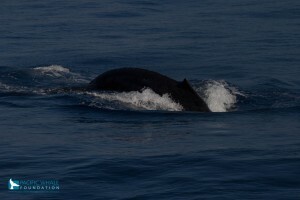 The count is conducted three times per year during the peak whale season and provides a snapshot of humpback whales sightings from the shoreline. 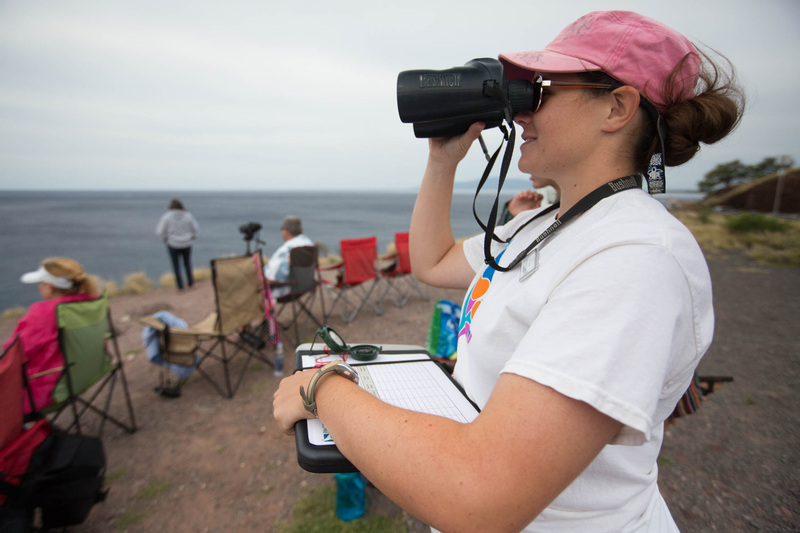 Participants tally humpback whale sightings and document the animals’ surface behaviors during the survey. A total of 174 whale sightings were recorded during the 11:30 to 11:45 a.m. time period, the most of any time period during the day’s count. 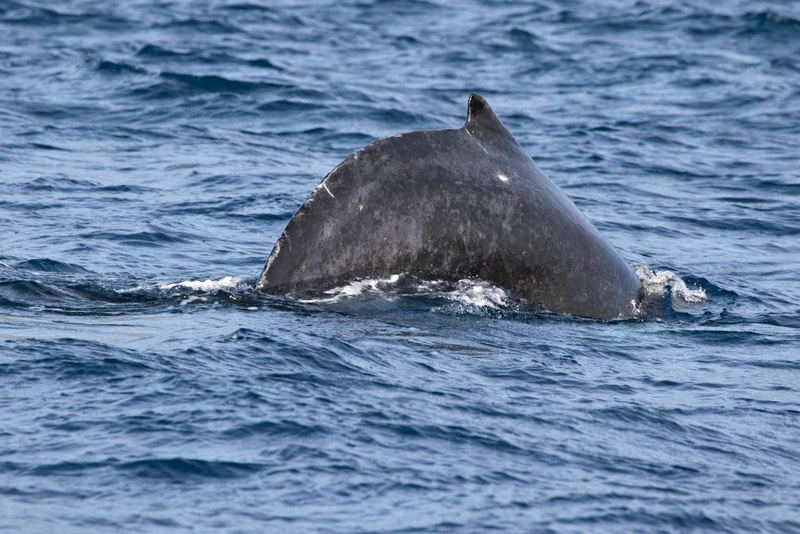 There were more whale sightings on Hawaiʻi Island this Ocean Count compared to last month’s. Conditions were generally overcast across the sites with flat/calm waters and little to no wind which organizers say allowed for great whale viewing conditions. 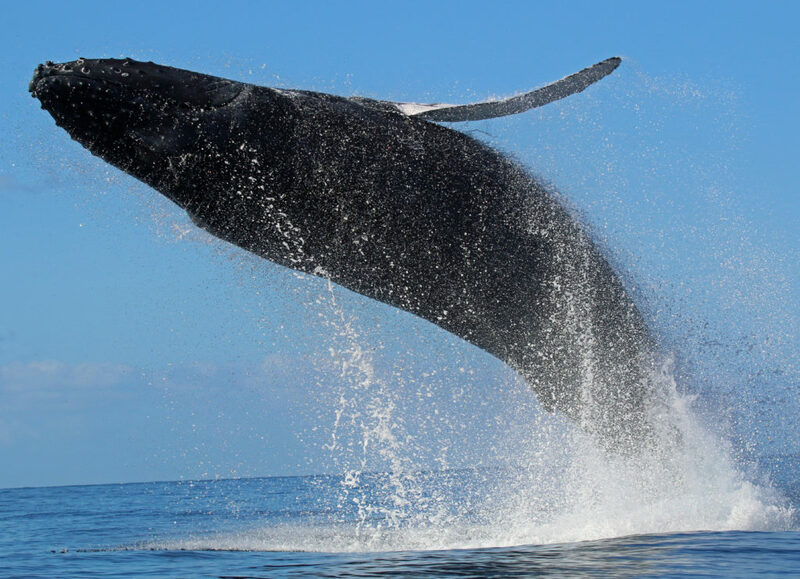 Volunteers on Hawai‘i Island at the Ka Lae Ocean Count site had quite a show viewing 23 breaches (an acrobatic display where the humpback uses its tail to launch itself out of the water then lands back on the surface with a splash) in just 15 minutes. The sanctuary, which is administered by a partnership of NOAA’s Office of National Marine Sanctuaries and the State of Hawai‘i through the Department of Land and Natural Resources, protects humpback whales and their habitat in Hawaiian waters where they migrate each winter to mate, calve and nurse their young.